Private Internet Access VPN Review 2019 – Is It Reliable? Have you heard of Private Internet Access (PIA)? What is Private Internet Access VPN and how does it work? Well, you will learn more from this Private Internet Access VPN review. People’s online privacy is badly invaded in this Internet age. The ISP knows everything you do online and the third parties can buy your browsing histories from your ISP easily. This action is allowed by the Congress. You may be looking for a reliable VPN to reclaim your privacy or unblock the popular shows. Being confused by the various VPNs in the market? Which VPN should you trust? Is Private Internet Access a useful and fast VPN? Get your answer in this PIA review. Why Private Internet Access (PIA)? Private Internet Access (alias PIA) is a very popular VPN which has been around since 2010 and has great reputation in the business. This VPN provides high levels of privacy protection by masking your real IP address, preventing DSN leak, coding Internet connections and channeling your communication data via remote server. It offers plenty of servers in different cities and countries to allow you to defeat Internet restriction based on location and unblock many restricted contents. You can have superfast connections to enjoying streaming in HD without ISP throttling. Private Internet Access VPN provides solid security and customizable options in encryption level. You are allowed to change the encryption level manually under advanced settings to get flexible speed. Besides, this VPN delivers straightforward service. There is no hidden fee or clause. It is cheaper than most similar VPNs. The provider designs their products with full features while offers simple and smooth installation file. It is very easy to get started with this service. This provider has zero activity logs, so your privacy stays safe with them. Private Internet Access also is popular for its transparency. They provide details about the service, including encryption, policy and jurisdiction etc., on the official websites. The websites are straightforward and easy to navigate. You can find useful information and solutions to your confusions or problem without any problem. Private Internet Access provides one package with three plans. You can choose to sign up monthly or yearly. It starts from $3.49 USD per month. The monthly plan is flexible and the yearly plan lets you save money. If you purchase monthly plan, it is $9.99 USD. No discount is available on this plan. If you are a heavy VPN user, pick the yearly or 2-year plan because they include big discount. The yearly plan is 40% off and it just costs $71.88 USD per year. The 2-year plan is the plan with best value as it is 65% off. It costs $83.87 USD per two years. You will save $155.89 USD on 2-year plan. To get started with Private Internet Access, you only need to provide an active email address and a valid payment method. After you finish the payment, you can navigate to the download area to get the software suited your device. Following the installation wizard, you can make it work within minutes. Private Internet Access VPN provider accepts flexible payment methods that include PayPal and credit cards like Visa, Mastercard and American Express. They also accept gift cards for popular retailers like Starbucks, Costco, Best Buy, Target, and more. You can purchase a gift card with cash and use the gift card to sign up a VPN plan. That increases the anonymity of payment in a way. Payment via cryptocurrencies is supported. Apart from Bitcoin, other cryptocurrencies are also available like Zcash, Bitcoin Cash, Ripple and several more. You can purchase the VPN plan anonymously. Private Internet Access kindly offers 7-day money-back guarantee. If you are not satisfied with this service, you can request a refund within 7 days after the VPN subscription. In those days, hackers make use of advanced technology to eavesdrop and wiretap Internet connections to grab innocent users’ sensitive information. They can steal your financial information to take your money away or use your identity to perform illegal activities. The hackers especially are looking for business confidential data because it can help make lots of money. You may have to travel around for business and spend most of your time on the on. When staying at airport, hotel or coffee house, you need public WiFi to check email or transfer document to your partner to deal with emergency case. However, cyber criminals would like to harvest and steal data from those insecure public networks. They even generate phishing network to trick users into connecting so as to collect valuable information and crack your online accounts for more money. The hackers also wait for a chance to attack you even though you are using your home network. Therefore, you need to secure your connection no matter you log in to social networking websites, check email, share sensitive data online, shop online or log in to bank accounts etc. How to secure your connection? Private Internet Access comes to help. It gives you unbreakable protection and allows you to choose the level of encryption on both your data authentication and your handshake. Your data authentication can be protected by SHA-1 or SHA-256 encryption. You also can set up handshakes between servers and client devices with RSA-2048 public-key encryption. Private Internet Access VPN creates the encrypted tunnel with different protocols. It supports PPTP, OpenVPN and L2TP/IPSec protocols and a SOCKS5 proxy. If you only use VPN for streaming videos, PPTP is a good option because it is fast. However, you should note that PPTP is insecure. If you are looking for security protection, do not use this protocol. L2TP/IPSec is many users’ option as it provides both speed and security. OpenVPN is the recommended option. It is the latest protocol and is equipped with the most advanced encryption standard. It gives you the best protection as well as maintains high speed. Others can’t penetrate a VPN’s encrypted tunnel, so you can conduct online activities freely without worrying about data theft and cyberattack even when you use public WiFi hotspot at a library, cafe, bookstore, hotel or airport. Private Internet Access VPN provides access to 3,307 servers in 32 countries, beating the numbers for most other VPN services, and the number is still growing. With a larger number of VPN servers, you have more choices to mask your location. If you would like to connect to a server in the US, you have a bunch of options in different cities. You can switch between different servers across several continents to access the global network. With servers in the US, you can unblock US-only services in other countries. When connected to servers in the UK, you can access contents that are restricted to uses in the UK. If a website is blocked in the country you live, you can switch to server in another country to gain access to the content. With Private Internet Access’s global network, you’re less possibly to have to share data with a lot of other users for accessing the same VPN server. You won’t be bothered by overloaded servers. The smart servers are logically distributed around the globe and enable users to unblock most online contents come with geo-restriction. No matter where you are located, connect to the server which is closer to your location and you will get satisfied connection speed. Due to copyright issue and other reasons, many streaming services are restricted to certain countries or regions. Many users use VPN to unblock those contents while the streaming services also block connections via VPN. They can detect VPN protocols and refuse your Internet request. Therefore, many VPNs give up in working with streaming services. However, Private Internet Access (PIA) still does a great job in unblocking streaming services. It enables you to unblock Netflix & Hulu outside US, BBC iPlayer outside UK and Youku outside mainland China. You can gain access to many famous video games that are not available in your country. If you live in a country with high Internet censorship, Private Internet Access (PIA) assists you escape from the censorship and use the Internet as it ought to be. For example, WhatsApp has been blocked in many countries after end-to-end encryption feature is added in its client. PIA lets you connect to server which supports WhatsApp so that you can continue to use this messaging app. Private Internet Access (PIA) is a torrent-friendly VPN. It lets you download via P2P anonymously. The provider does not restrict or monitor any connections, including P2P file sharing. As this VPN does not require that you limit your torrenting to specific servers, you don’t have to switch to different server when you are about to download. That is very convenient and helps you save time. PIA disguises your IP address and encrypts your online traffic. The Internet kill switch prevents the ISP and other companies from viewing your connection in case your VPN drops. You can torrent with peace mind. With Private Internet Access VPN protection, you can download content you need from any torrenting website freely. Your account won’t be blocked or your connection throttled. Private Internet Access VPN can be installed on Windows, Android, iOS and Linux, and it only takes a few minutes. It provides browser extensions for Chrome, Firefox, and Opera. 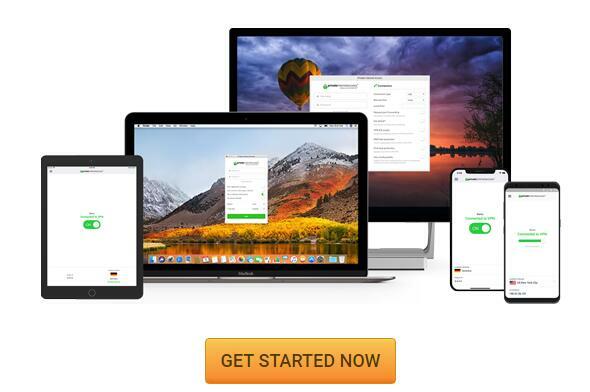 This service allows you to use up to five devices with one single account. If this number is not enough for you, you can set up VPN on router. This VPN supports routers and is compatible with DD-WRT, Lede, Merlin, PFSense, Tomato, and ASUSWRT routers. To cover all devices in the house, you are required to set it up through OpenVPN on router. You can follow the step-by-step setup guide which is very clear and easy to follow. All of your smartphones, tablets, PC, smart TVs and game consoles will be protected. The provider offers specific guides and an FAQ section that includes video tutorials on their websites. You will find out those pages are truly fantastic. These resources will allow most users to solve problems quickly. It is a pity that Private Internet Access (PIA) does not offer live chat support. If you can’t find solution to your problem on the official websites, you need to submit a ticket with your request. Navigate to support page and click on “Contact us.” You will be redirected to a page to fill a form to get support. It will take some time to get a respond. PIA is trusted by many large companies and individuals. Here are what users say about PIA. Overall fantastic, intuitive, good value for money and wished I’d been put onto earlier before my airline airpoints account was hacked (probably via public wifi which I have to use a lot). Only issue was that a Netflix trailer wouldn’t run. Said that I had a proxy issue. Turned off PIA and it streamed just fine. Turned it back on again. Not ideal but not a big deal either. Private Internet Access offers wonderful service and the best bang for your buck. You not only get encrypted VPN service but the price also includes proxy as well. The setup is very simple and easy to use yet has all the features you would want in a vpn like killswitch, multiple locations/countries to vpn to and even malware/ad blocking. I’ve had no issues with lag or bandwidth speeds which other vpn services can struggle with. PIA is a US based company and they do not keep logs on your traffic. 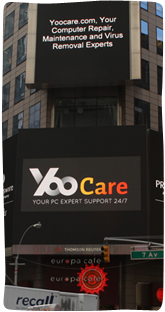 They also offer 24/7 technical service. They give you many choices of payment from Paypal to Amazon and even gift cards. I feel very comfortable doing business with them. I used Private Internet Access (PIA) for a few months a year ago and had financial difficulties keeping me from continuing their service. Once i was able to afford them again i bought a year’s worth of time right off the bat. I dont know many other VPN’s that offer as much as PIA does at their price you cant beat them! They also have a very quick customer service helpdesk. There is probably only one or two other VPN services that even come close to Private Internet Access. If you are thinking about a paid VPN service PIA is easily the way to go!! Very safe, very efficient, very fast speeds! Do we recommend Private Internet Access (PIA)? Yes. After reading the Private Internet Access VPN review you must understand it is a great tool which delivers satisfied security solution for Internet users. It provides competitive pricing plan, robust encryption for ultimate privacy and security, and a strict no-log policy. This VPN starts from $3.49 USD per month. It is relatively cheap, but it defeats many VPNs in the market with advanced and impressive features. The unbreakable encryption and high privacy protection keep you safe and private on the Internet. Private Internet Access VPN offers outstanding worldwide servers for excellent performance. No matter you are at home or on the way, you always have decent server selection for the possible highest connection speed. The remote servers help you unblock contents with geo-restriction and bypass government censorship. Would like to save money? It is the very right time to get deal. You can get more savings at this time.